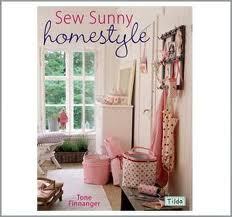 When a friend lent me a sewing book a few weeks ago, I had a bad case of "Why doesn't my house look like this?" This book is very inspiring although you may just get depressed flicking through it for too long as there is no way that any normal person I know (with a day job, children, messy dogs, a budget...) can have a house that looks so effortlessly stylish. 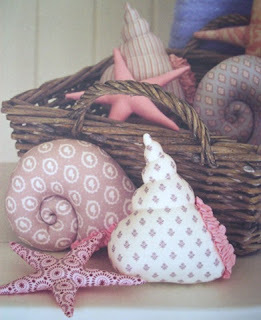 Anyway, while I knew that the overall look couldn't be achieved, I thought that I'd give a try to these little sea creatures to cheer up my bathroom. Not quite like in the picture as I said... but at least I got to use some of my stash of African fabric that have been lying about in my cupboard for over 2 years now! I have apartment design news in my Flipboard, and I KNOW that house envy feeling... It's just not the same when you live in a rental, too!